An introduction for the players into Coerver methods focusing on Ball Mastery. Description: Players in pairs with a ball. Partners take turns to perform various skills. 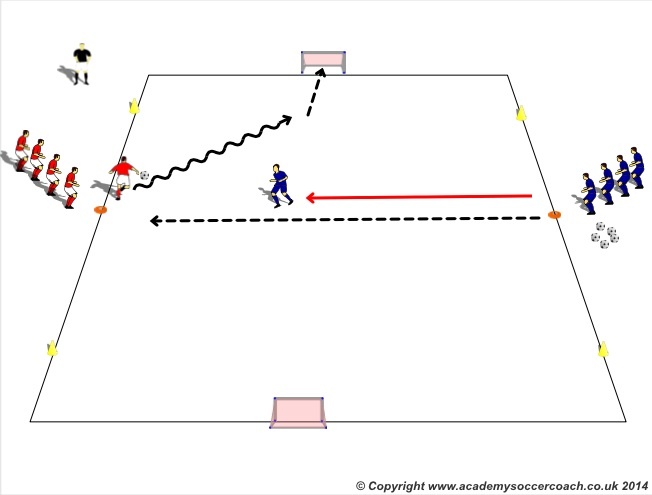 Description: Two teams on opposite sides of area facing each other, on coaches call first player from each team performs agility exercise before sprinting to touch one of the mini goals. The coach will call “Red” or “Blue”. 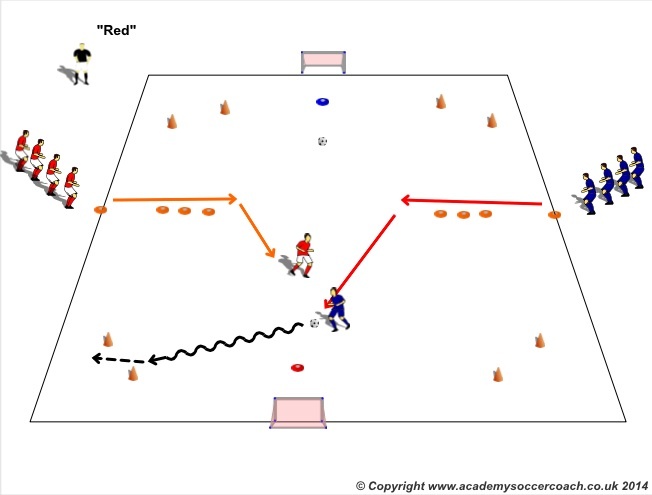 Description: Each half of the pitch now has a ball, once the players complete the agility work they react to the coaches call to finish in the corner cone goals. How many 1v1’s can you win? 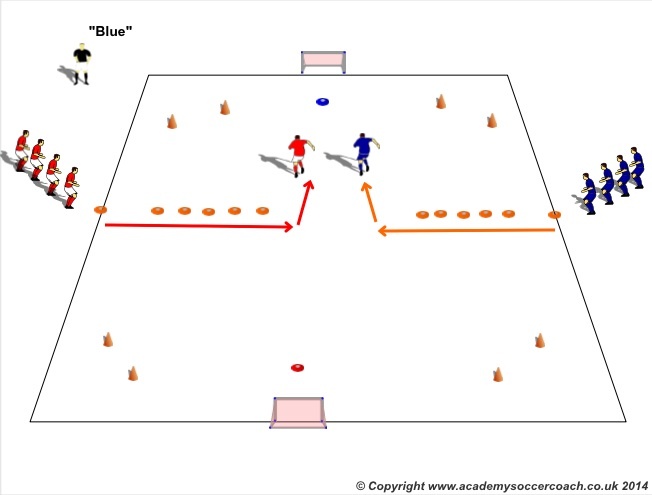 Description: Blue’s begin as defending team, play is stated with a pass into the first red player who can score in either goal. Encourage players to use their moves, faints, skill to beat opponent and score. Players must be in final third to score. Change team roles every 4-6 minutes.